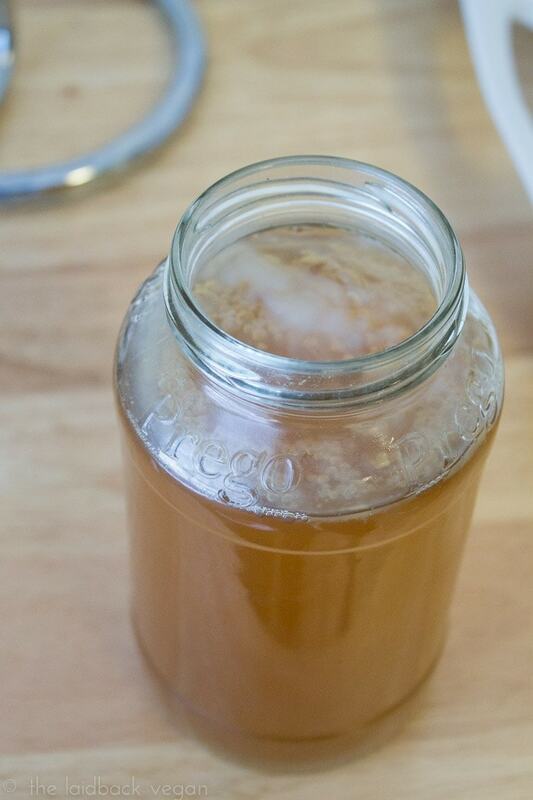 Have you ever had kombucha? I’ve fallen in love with the tangy, slightly fizzy drink, with so, so many incredible health benefits. It’s literally called the “elixir of life”, and so I’m pretty automatically sold, but how I feel after I drink some just seals the deal. Perfect after slightly over-indulging in some heavy food, aiming for a flat belly & healthy digestive system, and, oh, I don’t know, helping with arthritis, immunity, and preventing cancer? So… you a believer yet? The only trouble is the stuff is ‘spensive, y’all. Anywhere from $3.99 to $5.99 at a well-stocked grocery store, it’s just not realistic to stock your daily habit with the bottled stuff. But brewing kombucha must be tough, right? I mean, most people have no idea how it’s truly made, and think it’s something only people who, you know, compost and use cloth diapers can handle. Well, from the girl with the brown thumb, it’s really not difficult at all. At all! 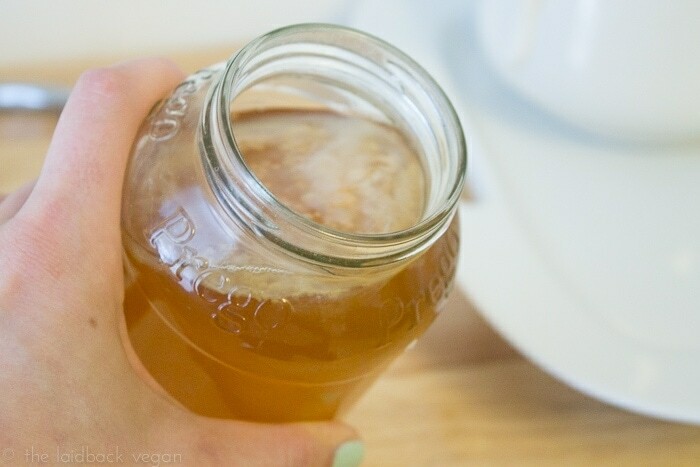 All you need is some sweet tea, a little kombucha, and a SCOBY. Aaaaand… that’s when your eyes glaze over. A SCOBY is a, well, symbiotic colony of bacteria and yeast. It’s a mushroom of the “good” bacteria that we need to keep our guts healthy. 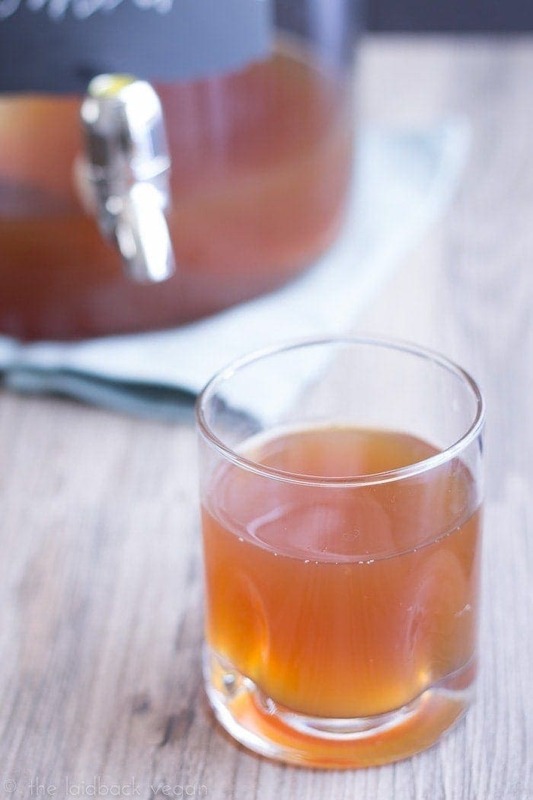 A SCOBY is basically what makes kombucha kombucha, what turns sweet tea into the fizzy, tart drink with the rich history of health benefits. It sounds scary and, let’s be honest, kind of looks scary, but it’s really not intimidating once you’ve worked with it for just a little while. But where does one get said SCOBY? 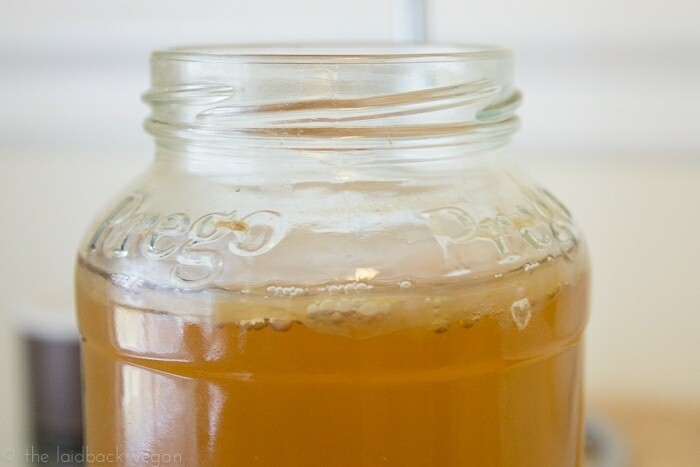 If you have a lot of kombucha-brewing friends, they can totally give you one! 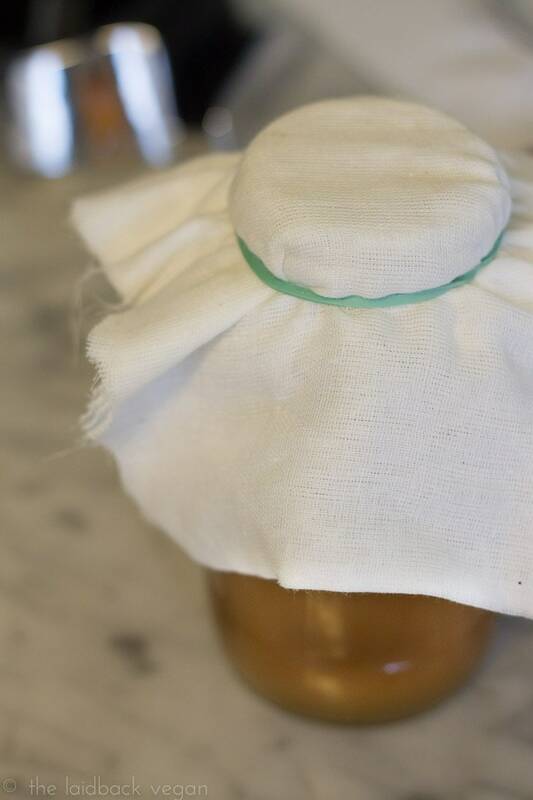 Each time you brew a new batch of kombucha, the SCOBY you use to turn the sweet tea into kombucha will create a baby SCOBY. You only need one SCOBY per batch, so you can easily pass out extra SCOBYs like a SCOBY god. But if you don’t have kombucha pals, you can totally buy one! They’re like.. $15, and you can order them from several places online. Or.. you can do what I did and turn a $4 bottle of kombucha and a little bit of home-brewed sweet tea into a SCOBY yourself. For reals! This saves money and really helps you feel like a hippie badass when you peer into your little jar and find–gasp–a weird, floaty, jellyfish-esque SCOBY of your very own. It’s science magic! It’s quite simple, and just takes a bit of time. Follow the directions below to make your own.. after which you can brew batch after batch of homemade kombucha! A post on that is coming up soon, as well as probably fourteen kombucha-based recipes (ever had kombucha and vodka?! Holy Ganesha). I apologize/you’re welcome. I have just made an attempt at this. Although I had mostly drank 2/3 of the bottle so I am just winging it. If it doesn’t work then I will do it just like you say. Great! Let me know how it works. I’d recommend lowering the amount of sweet tea in that case, but it should work, it just might take more time. Keep it in a warm place, and you should be good!